Rotary UN Day: in November, Rotaract Members visited the United Nations Headquarters in NYC for their second year. 2014 RYLA North America - Alondra Rosales and Amy Han attended the Rotary Young Leadership Awards Conference in Washington DC. The Rotary Club of Swarthmore generously covered the costs for them and provided them a wonderful and unforgettable opportunity to build our leadership skills and make Rotaract friends from all over the world. Rotary UN Day: Rotaract members visited the United Nations Headquarters in NYC. They were updated on the current projects that Rotary International and the United Nations are supporting. 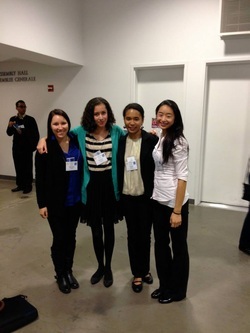 Information was provided on the model UN program and the Shelter Box project. Rotary Fun Fair: The annual Swarthmore Charity Fun Fair was held this past Spring in the Ville and featured vendors, music, food and inflatable slides. All proceeds from the Fair benefit a number of charities and non-profit organizations, with the Rotaract Club participating in raising funds for the Pulsera Project, as well as the Lincoln Reimagine Project that provides financial grants directly to local community groups such as ABC Houses and the Chester Children's Chorus. Pulsera Project Sale The Pulsera Project is a non-profit organization that supports Nicaraguan communities by providing fair trade employment through the sale of colorful, hand-woven bracelets called pulseras. Shelter youths, independent families as well as co-operatives in Uganda and Guatemala in Nicaragua rely on this project for their incomes. On April 22nd, Swarthmore Rotaract Club sold pulseras to the college community raising proceeds in support of The Pulsera Project. 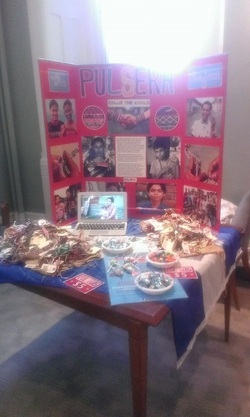 Pulseras will continue to be sold at the upcoming Rotary Fair on April 4th. Vive tu Vida! 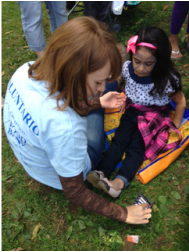 : Swarthmore Rotaract Club volunteered with La Communidad Hispana at the annual Vive tu Vida event on September 28. 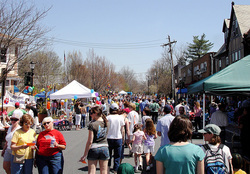 Vive tu Vida is a free family event that targets family health and fitness in the Kennett Square community. The event consisted of free health screenings, raffle prizes, live demonstrations and many fun activities for children such as face painting! For more information visit La Comunidad Hispana.